Butuan City Water District (BCWD) recently conducted the BCWD Watershed Symposium focusing on water quality and forest protections at Sitios Mahayahay and Iyao, Anticala, Butuan City. Attended by farmers and residents in the Taguibo Watershed, the Watershed Symposium had resource speakers coming from the Environmental Management Bureau (EMB) of the Department of Environment and Natural Resources (DENR) and City Environment and Natural Resources Office (CENRO) – Nasipit. Engr. Renato Tacubao of EMB discussed the role of the Taguibo Water Quality Management Area (Taguibo-WQMA) while Forester Rosemarie Adobas of CENRO-Nasipit explained the provisions of Executive Order No. 23. “The Taguibo-WQMA was established to protect, thru stakeholders collaboration, the water body and its tributaries by keeping their water quality within the water quality guidelines conforming to the water body’s classification or even improve the quality to high classification,” Engr. Renato Tacubao said. Engr. Tacudao further explained that although the Taguibo River is a small river, it has several uses to the people of Butuan, one of these is that it is used as the primary source of water supplied by BCWD to its concessionaires, making it appropriate for protection to maintain the quality of its water yields. Forester Rosemarie Adobas explained that Executive Order No. 23, issued on February 1, 2011, declares a moratorium on the cutting and harvesting of timber in the natural and residual forests and creating the anti-illegal logging task force. To allow natural regeneration and development of plantation forest. It can be recalled that Forester Adobas also discussed E.O. 23 in the BCWD Watershed Symposium held on July 27, 2017 at Dugyaman, Anticala. “Executive Order 23 is the law protecting forest resources for the environment to regenerate itself,” Adobas said. On the other hand, DENR forester Edwin Gonzales discussed Executive Order 26, the National Greening Program which is a massive forest rehabilitation program of the government, during the BCWD Watershed Symposium held on July 28, 2016 at Tagkiling, Anticala. 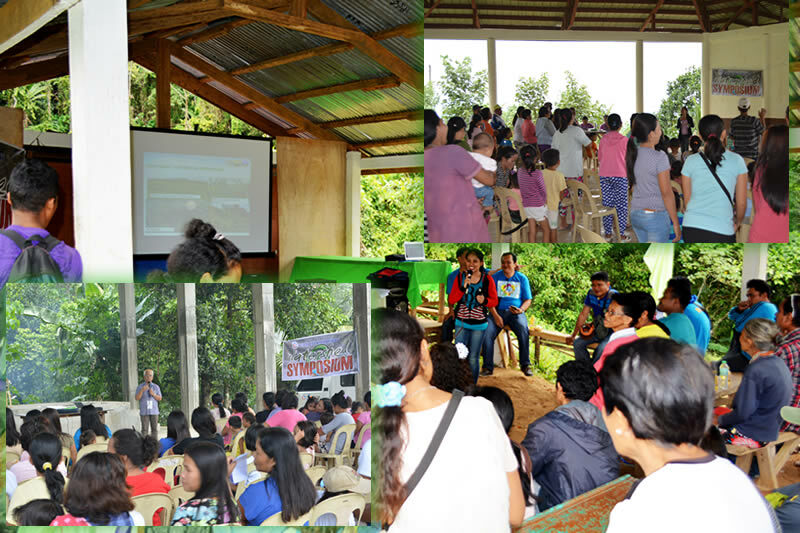 The BCWD Watershed Symposium is a regular program conducted quarterly in different communities within the Taguibo Watershed to keep the people in these communities reminded of their vital role in the protection and conservation of said watershed.